To add a new match alert, follow the steps given below. 2. Select the New Match Alert option from the SMS Notifications drop down list. 3. Select the date of the match from the Match Date calendar. 4. 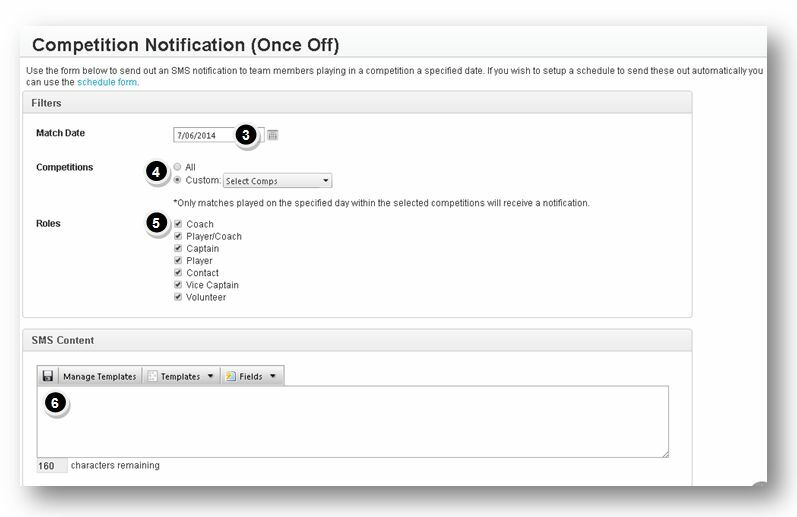 To send notifications about all competitions of the day, check the box in the All option. 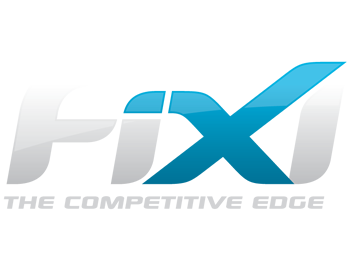 To select the required competition, check the box in the Custom field and then select the required competition from the drop down list. 5. Select the required roles to which you wish to send SMS in the Roles field. 6. 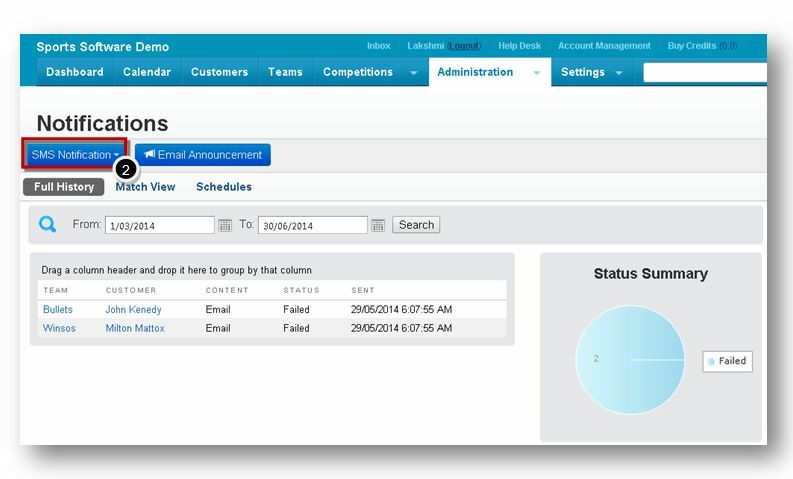 In the SMS Content section, enter the content for notification in the SMS Content text entry box. You can use the template and fields to customise the message. 7. Specify whether you wish to allow for reply opt out or not by checking either the Yes or No option. 8. Enter the id of the sender in the Sender Id text entry box. 9. Click the Continue button. 10. Review the details and then click the Send Message button. The message box informing you about the successful sending of the notification will be displayed. The SMS notifications will be successfully sent.